As we hit mid-summer the hot days of July and August are looming ahead. Luckily we get to cool off in our air-conditioned homes, pools, and beach vacations but our trees never get a chance to escape the heat. As a homeowner, there are a few things you can do to help your tree get a break from the heat and stay healthy all summer. 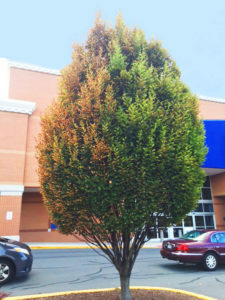 When temperatures climb above 90 degrees tree start to show signs of summer heat stress. How Can You Help Your Trees Beat The Heat? 1) Water A Lot But Not TOO Much. Mulching is one of the best techniques to protect your trees & shrubs from the heat. Mulch creates a layer of insulation that retains moisture and keeps the roots temperate. 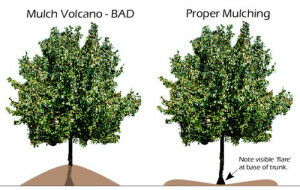 DO NOT CREATE A MULCH VOLCANO! While your tree is busy trying to fight the summer heat, insects and diseases that are active in summer can target your tree. 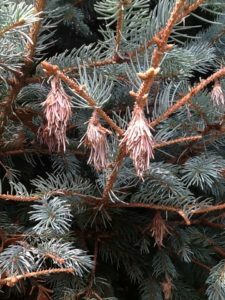 Because your tree is stressed from the heat it will have a harder time fighting off these insects and diseases and will most likely incur a lot of damage if you don’t step in. Keep a close eye on your trees for signs of borers, spider mites, Japanese beetles, aphids, bagworms, and scale. Tree growth regulators utilize three techniques to help make your tree drought resistant. First, it gently slows the growth of the tree. Second, it develops thicker waxy cuticle (coating) & a thicker epidermis (skin) that is densely covered with fine hairs. These two techniques help reduce water loss in a tree. Lastly, it reallocates energy from new leaf growth to fine feeder root growth. This helps the tree absorb more water. The tree growth regulator also allows you to prune less often and reduce costs related to watering and fertilizing. 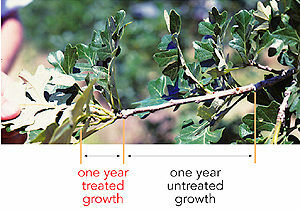 On the aesthetic side, the leaves of trees treated with tree growth regulator tend to be greener than untreated trees. One treatment will last up to 3 years. 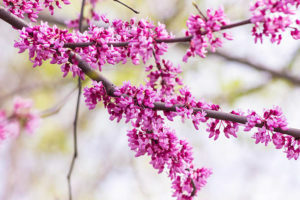 If you’re planning to plant new trees this fall, look for drought-resistant species. This will help you save money on your watering bill while still allowing your tree to thrive in hot temperatures. 6) Schedule Your Fall Fertilization. Once your fall comes your trees are going to be tired from battling the heat during the summer months. Providing your trees with Bio-stimulants will help them recover from the summer heat and prepare them for their long winter nap. Think your tree has heat stress? Call one of our Certified Arborists 703-573-3029 or book an appointment online today. 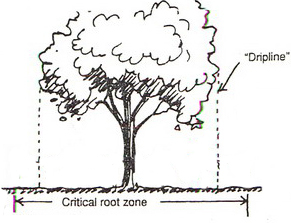 Outstanding overview of the proper way to care for and ensure trees grow and flourish. Tree removal should be the absolute last resort and following the steps in this article will ensure your trees and property will be grow in beauty. Love it. 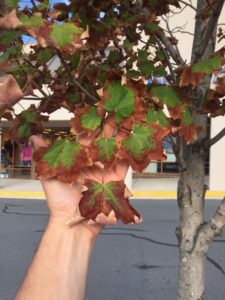 Here in San Antonio the heat and humidity can play a factor on tree care so this article hits it out of the park on the proper way to care for your trees. Further south in the Houston area, especially in The Woodlands there is a massive amount of trees and any reader who is from that region should especially review this post. 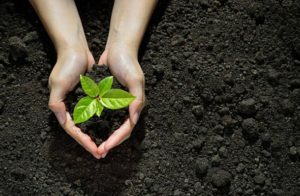 well done article, I agree that trees must be fertilized and water but fertilized in the fall as well.really interesting tips on mulch for the summer, I haven’t those before and I bet they’re beneficial for those who use them. Thank you for posting as I found it valuable and worthwhile. I didn’t know that you had to mulch your tree in order for the tree to be in good health. Great read! I appreciate you writing it. I am a tree service provider and many people mistake my Arborist profession as someone who simply cuts trees down that could harm something or someone. This article proves otherwise. A lot of my profession is geared around helping vegetation including trees not only survive, but flourish. I appreciate the read. This is a great read, everyone who does their own landscaping or yard work should read this. I see so many trees out there that have too much mulch at the base of the tree, this can suffocate the tree and it’s not necessary. The heat here is also brutal on the trees. I live in Jacksonville FL. Thanks for a great article. Thanks for the tips on protecting my trees! The summers here are very hot, and I want to make sure my trees stay healthy through it. Thanks for mentioning to water in the morning so that the water won’t evaporate too quickly. I will make sure I follow that rule all summer. Great tips here! Summer is now fast approaching and is very hot. I’ll gonna sure I follow these tips. Thanks for sharing! Thanks for the tips on how to water your trees correctly! I didn’t realize that just using a sprinkler wouldn’t saturate the soil enough for the tree. I’ll have to get a tree service in to help me know how much water my species of trees need!